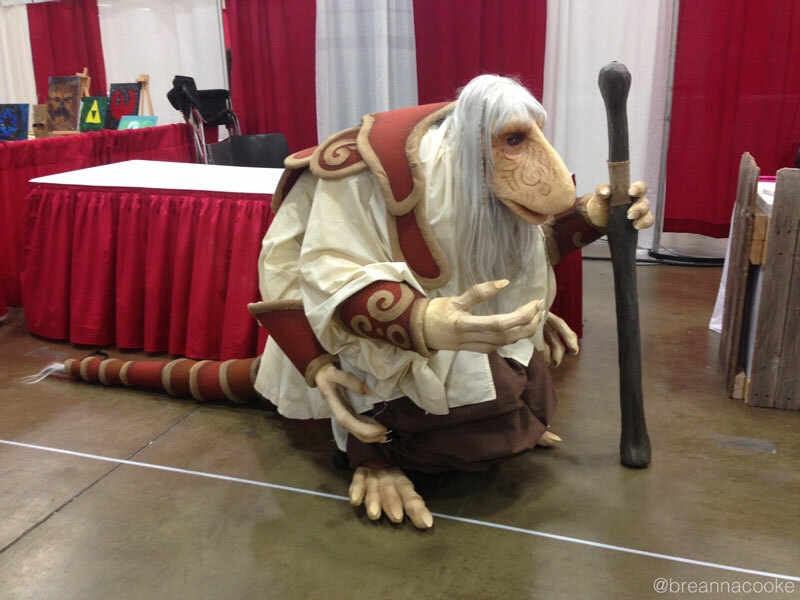 I finally made a Mystic costume from the Dark Crystal! It’s been on my costume wish-list for a long time. 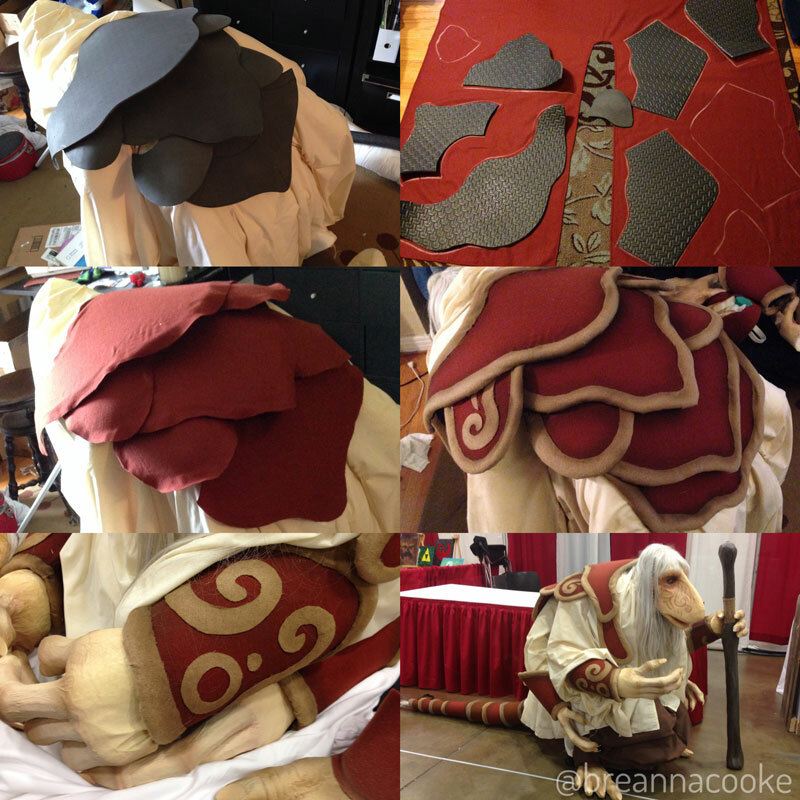 There are still a lot of improvements to be made, but I got the costume to a wearable point just in time for the May Dallas Comic Con in 2015. 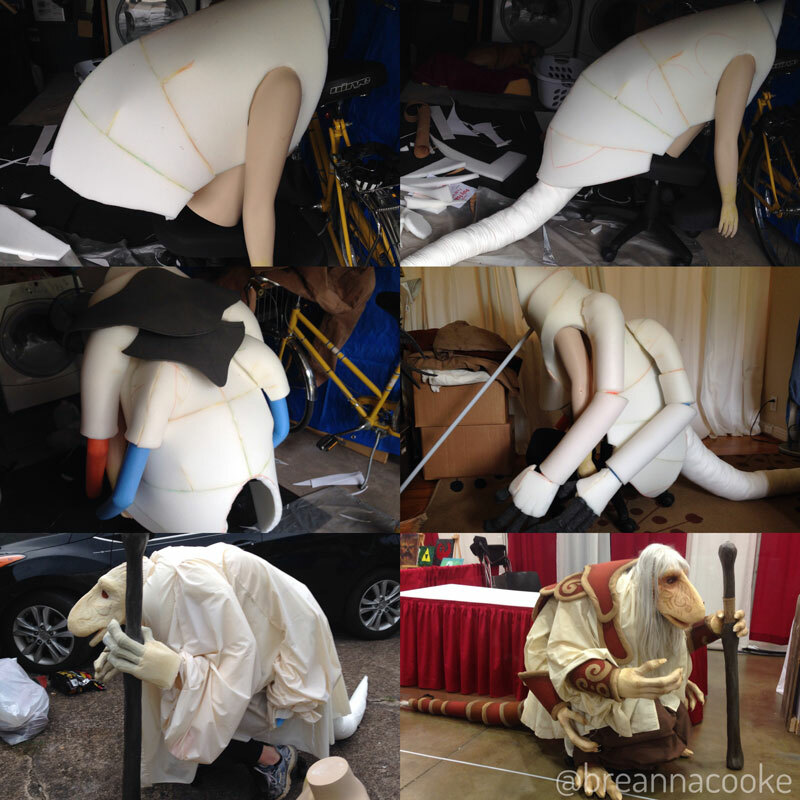 Keep scrolling down to see my process photos. 5 – Painted with airbrush and various acrylics. 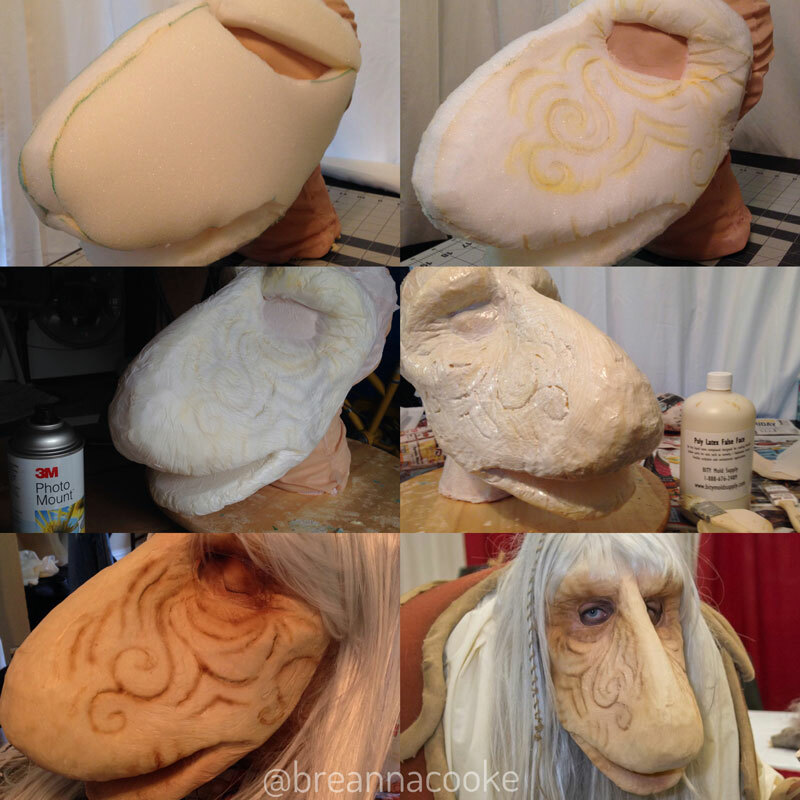 Glued on wig and hair segments. 6 – Done! Photo by Alan Tijerina Photography. 4 – Painted with airbrush and various acrylics. 5 – Attached to costume. 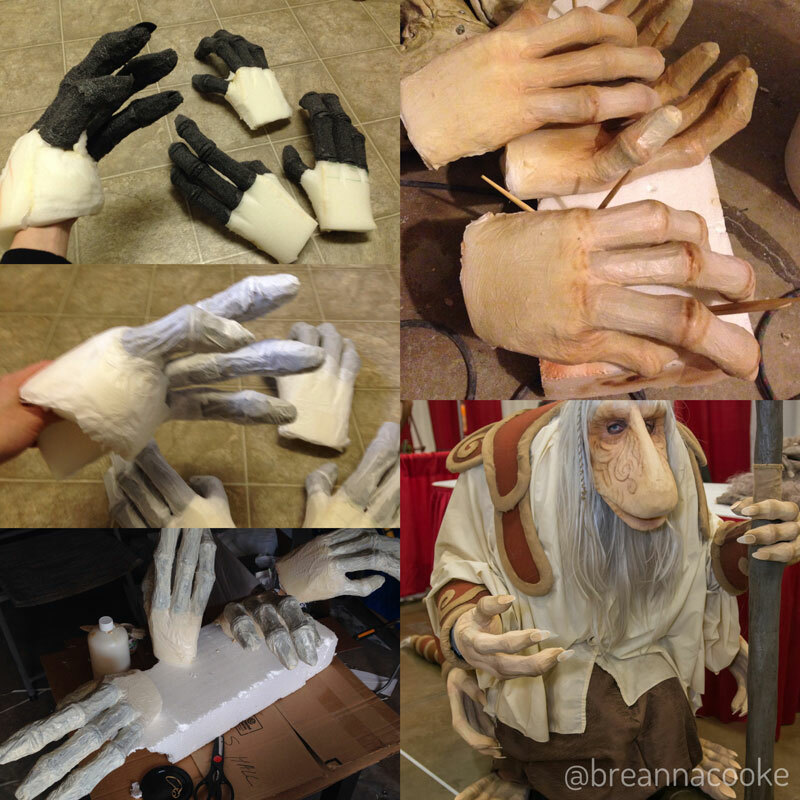 My real hands are in the front hands. Photo by Alan Tijerina Photography. Need horns? 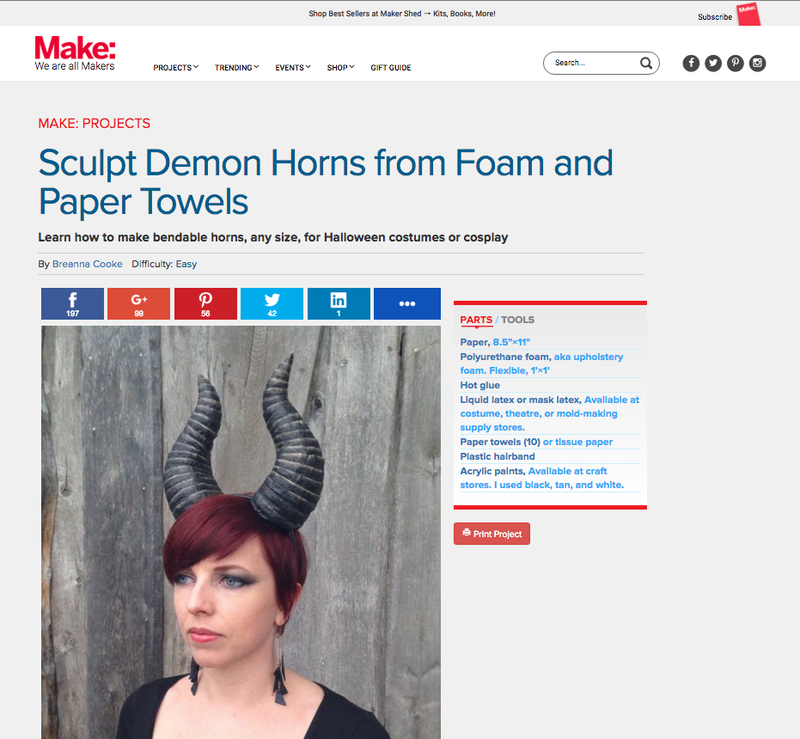 Check out my demon horn tutorial for Make: Magazine! 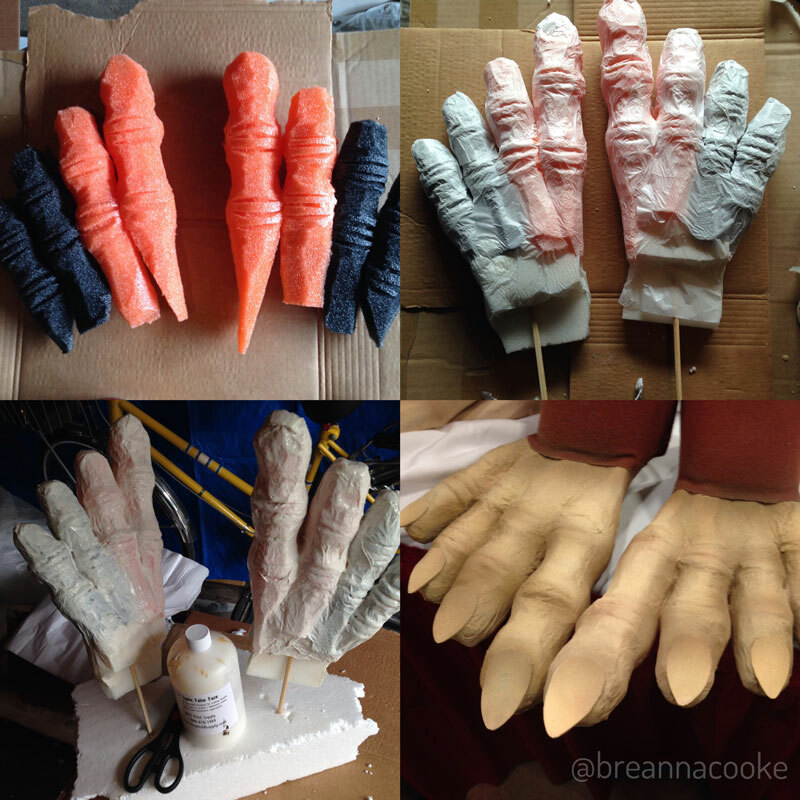 These horns are easy to modify to fit the shape and size of your costume character. 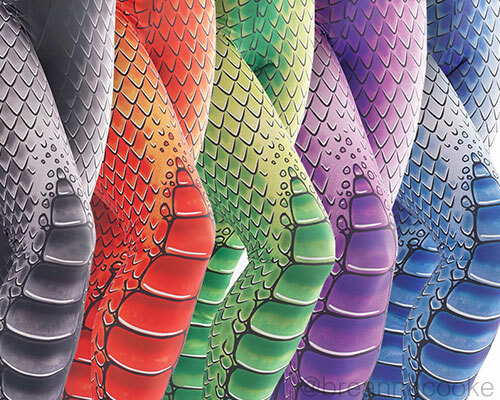 Plus they’re flexible and lightweight! Share photos of your horns with me on Facebook, Instagram, Tumblr, and Twitter.